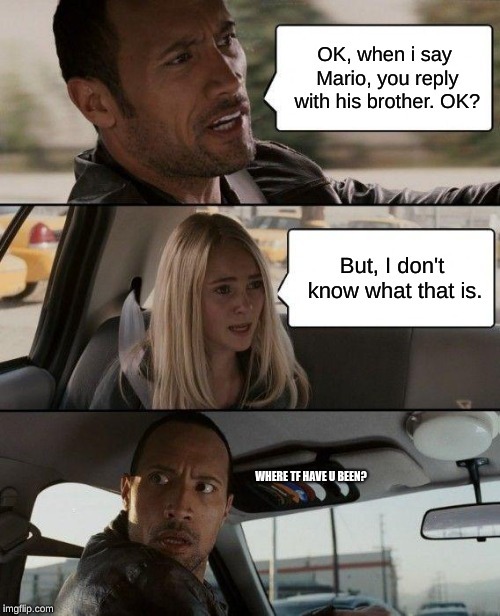 OK, when i say Mario, you reply with his brother. OK? But, I don't know what that is. WHERE TF HAVE U BEEN?